With all sorts of attractions, seeing all the scenic spots the Algarve has to offer will definitely need more than a day trip. However, if you only have one day to spare in this most celebrated region of Portugal, a unique way of getting a glimpse of the beauty of the region is by immersing into its historic attractions, with side trips to its more modern spots and natural attractions. As you explore the Algarve, you will also experience a great gastronomic tour at its cozy restaurants and coffee shops. This one day tour around the region will take you to historic spots including a walled ancient town, ruins and castle, and as you immerse into a part of the region’s interesting history, you will also enjoy breathtaking views of nature as well as satisfy your appetite in some of the best places that offers authentic Portuguese cuisines. For this trip, while you can take a taxi to the must-see attractions in the region, it is best to hire or rent a car for your full day activity. The good news is that there are plenty of companies offering cheap transfer services from Faro airport, with cars that can accommodate up to 16 passengers. For large groups of more than 20, it is more efficient to rent a bus. 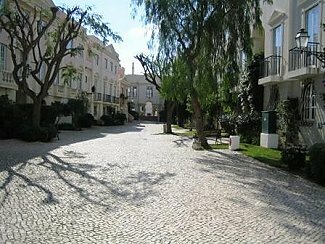 You can kick start your day trip to the Algarve’s historic sites with a short visit to Faro’s ancient town. Cobbled stones streets, medieval walls, and a 13th century church sitting alongside other buildings and orange trees will greet you here as you enter the town’s gate, Arco da Vila. This old church showcases Gothic, Baroque and Renaissance architecture. Another impressive attraction here is the Museu Arqueologico, a convent built in the 16th century showcasing stunning Roman floor of Neptune, bowls and vases, Moorish lamps as well as Renaissance and Baroque paintings. Sitting at the south of the town is the fountain area, Largo de São Francisco, which serves as car park. To get a better view of the place, visit the Igreja da Ordem Terceira de São Francisco, which overlooks the old town. This spot features Rococo woodwork, Baroque tiles and 18th century architecture. You may exit from the ancient town to your next destination through the Arco de Respouso, which literally means Gate of Rest which offers a great view to the walled town’s most ancient sections. 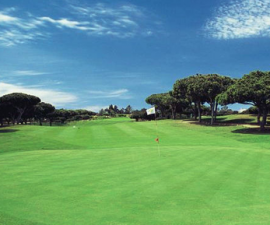 After a short visit to the ancient town in Faro, you can go straight to the Roman Ruins of Cerro da Villa, which is located in Vilamoura and is just around 30 minutes away from Faro. With its very distinct Roman ruins, the place has been frequented not only by avid historians but also by photography enthusiasts, vintage lovers and tourists. 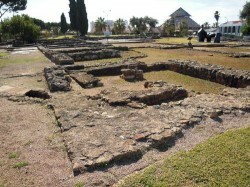 The Roman Ruins of Cerro da Vila is composed of the remnants of an old villa built during the reign of Romans in Algarve. Today, you can still easily recognize the traces of baths, dams, fishing stations, burial tombs, and service areas for slaves and servants. There are also residues of Roman art, as evident in the design of polychromatic mosaic pavements and painted stucco. 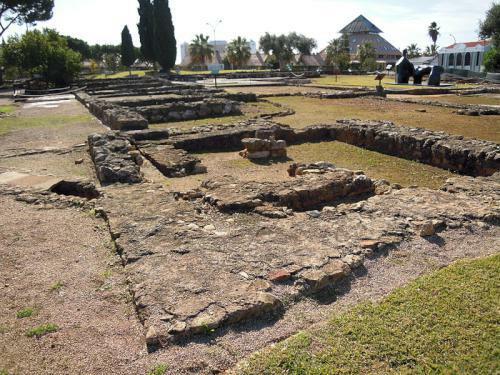 To know more about the Roman ruins of Cerro da Vila and Vilamoura’s historical background, it is best to visit the Cerro da Vila Archeological Museum, found at the ruins site. 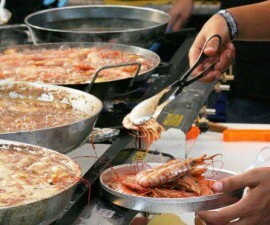 Your historic trip to Cerro da Vila will be best complemented with a lunch at the Marina, which is dotted by all sorts of restaurants offering not only sumptuous food and entertainment but also a majestic view of the ocean and greeneries that will surely improve your appetite. 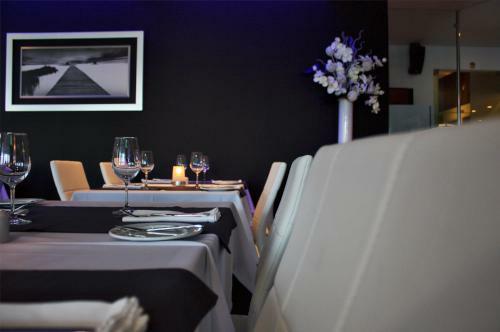 Restaurants worth to mention here include Pipa Rota, O Colonial, and Don Alfonso, which are known for offering authentic Portuguese food. Considered as the heart of the town, Marina is also the major location of trade in Vilamoura. You can spend some time to shop at Marina’s boutiques and stores, which offer a great collection of fashionable items, chic accessories, and exquisite local products. 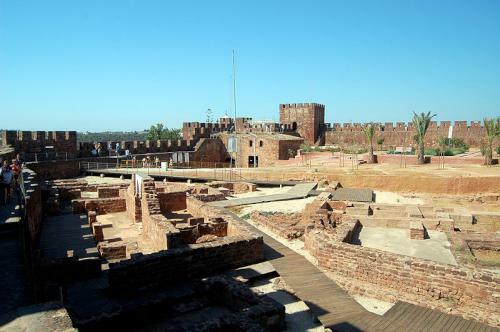 Visiting Castelo de Silves, a majestic castle found in Silves, is also a must-see attraction tourists should not miss in Algarve. Located 30 kilometers away from Vilamoura, Castelo de Silves is only 30- 40 minutes away if you are renting a car. Built between the 8th and 13th century, Castelo de Silves is deemed the most conserved Moorish castle in Portugal. The defenses that can be seen in the castle today were established during the Caliphate period, or the time of Islam’s supremacy. Because of its historic importance as well as its aesthetic value, Castelo de Silves was given the rank of national monument in 1910. Just outside the castle walls, you will find coffee shops that offer a serene ambience, which is just perfect for your day trip adventure in Algarve. Of course, don’t forget to try their pastel de nata, the palatable Portuguese egg tart often served with cinnamon and icing. 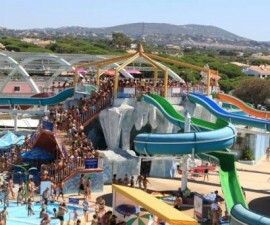 If you still have enough time to spare, stop at the Monchique Spa Village, which is celebrated for its curative water. The spa village sprung from four springs, which are said to be existent for not less than 1,000 years. The spa village has stunning views of rock formations and green trees. If you are in for a little adventure, you may also take some time to see the foothills of Serra de Monchique, a range of mountains found in the Western part of Algarve.